HTC Desire C which was revealed last month is now available in India for the price of Rs. 14,299 online. The HTC comes with 3.5-inch HVGA display and is powered by 600 MHz processor. It include a slightly larger screen, 5MP camera, Beats Audio and slimmer and lighter. It runs on Android 4.0 (Ice Cream Sandwich) with Sense 4. It is 12.25 mm thick and weighs 100g. HTC Desire is available in in white and black variants. It packed with 3.5 mm stereo audio jack, 512MB RAM and 4GB of internal storage that is expandable up to 32GB with microSD. If you like to share personal experiences with your social network, then HTC Desire C’s 5 megapixel camera and instant sharing capabilities will allow you to post any moment, seconds after it was captured. Through HTC Desire C’s deep integration of Dropbox and 25GB of free online space, you also have the freedom to securely back-up, browse and share thousands of photos, videos and documents, whether stored locally or in the cloud storage. The connectivity features include, 3G, Wi-Fi 802.11 b/g/n, Bluetooth 4.0 and GPS /aGPS. It has 1230 mAh battery. 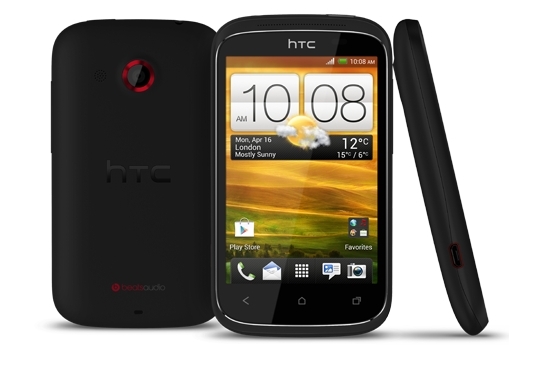 The HTC Desire C is now available in India from Buytheprice for Rs. 14,299. They also offer 8GB memory card with the phone.